A juvenile, who has a series of gun and robbery charges in different courts, was this morning charged and remanded for escaping custody. The 16-year-old appeared before Senior Magistrate Leron Daly. 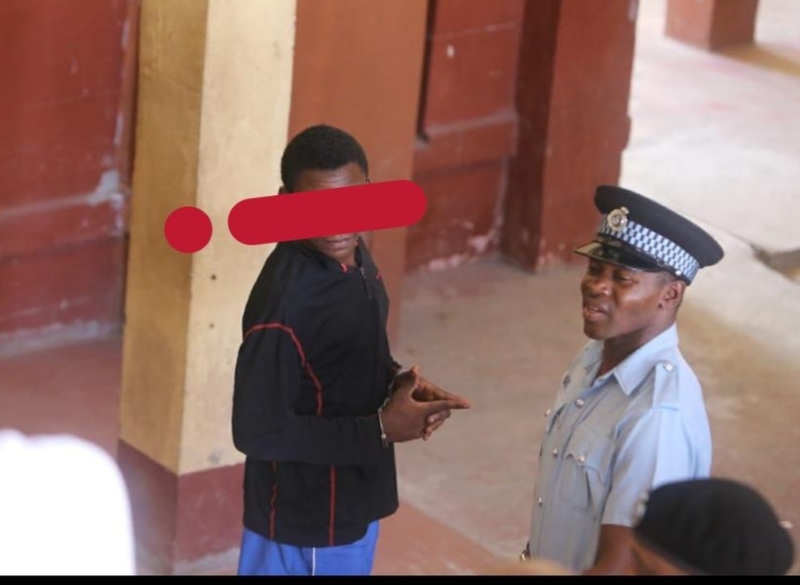 He pleaded not guilty to the charge which stated that on August 9, last, at the Juvenile Holding Centre at Turkeyen, East Coast Demerara, he escaped from the said custody. The matter was held in-camera after he appeared in the Georgetown Magistrates’ Courts. According to information, the teen was recaptured last Thursday in the Sophia area after police, acting on information, swooped down on a house. The teen was then arrested and taken into custody, hence charged. The Magistrate remanded the teen to prison and instructed him to make his next court appearance on September 28, for a probation report. It was reported that the teen, on the day in question, slipped out of the Juvenile Holding Centre at Turkeyen, East Coast Demerara, after being taken to the Admin. office to speak with a senior civilian staffer. The teen, after conversing with the staff, made good his escape through the back door of the office. He then ran through the main gate of the institution. The youth was arrested last April after he allegedly slapped a painter and robbed him at gunpoint. The incident occurred in ‘C’ Field, Sophia. Police, acting on information, went to the teen’s home, where they allegedly found him with a revolver, a cell phone and other suspected stolen items. A police official stated that the teen claimed that he rented the firearm from a ‘C’ Field, Sophia resident, whom he identified. But after being taken into custody, the youth bolted from the Cove and John Police Station, after asking a rank to use the washroom. When he turned up at his mother’s home, the woman alerted the police and he was rearrested.